The activity created just over 2.4 million impressions just including the number of followers of each of the influencers who attended the rally. The Riviera Nayarit Convention and Visitors Bureau joined Palladium Hotels & Resorts in hosting the 1st Mexico Influencers Rally held at the end of November. The group included Lilia Cortez, Guillermo Marínez, Gaby Gómez, Mariel de Viaje, Maco Daniel Guzmán, Raulito Show and Anette Asbun, hostess on TV Azteca and the Mexico Travel Channel. The activity secured a little over 2.4 million impressions just including the number of social media followers of the participating influencers. The Royal Suites Punta de Mita By Palladium served as rally headquarters and the activities included visits to San Pancho, Sayulita and Las Islas Marietas. 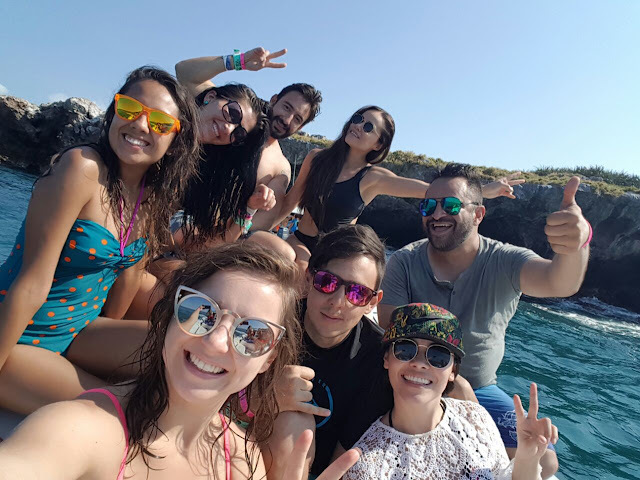 The influencers enjoyed the natural bounty and the luxury offerings of the Riviera Nayarit while they had fun and shared their joy with their followers.